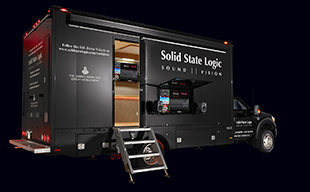 OXFORD, ENGLAND  Solid State Logic, the worlds leading manufacturer of analogue and digital audio consoles and provider of creative tools for film, audio, video and broadcast professionals, today announced new installations in Hangzhou and Beijing, China, together representing further advances in the important and burgeoning Chinese market. SSL has installed two C200 digital production consoles at Zhejiang Radio in Hangzhou, some 180km southwest of Shanghai. Zhejiang Radio is part of the Zhejiang Radio & Television Group, which broadcasts more than 270 hours of programs every day covering the entire country as well as 41 countries and regions outside China. Both C200 consoles are equipped with 48 in-line channels, ideally suited to their role as broadcast production consoles. One studio console is earmarked for music production, the other for a new OB vehicle deployed for general recording and broadcast usage. Designed for large-format music recording, live-to-air and offline mixing applications, the C200 is also flexible enough for DVD audio, multimedia, post-production and film. In addition, two SSL C100 HD consoles - one 24 frame and one 40 frame - have been installed at CCTV Beijing, Chinas 24-hour flagship news programme with an estimated daily audience of 700 million.